The brainchild of Gilmore Girls mastermind Amy Sherman-Palladino, the series recreates the era’s Upper West Side scene to a proverbial T. And while there are a few timeline flaws within the storyline – such as when Bob Newhart’s classic The Button-Down Mind of Bob Newhart comedy LP was released – they’re not important. What is: the story, characters and the snappy verbal volleys, which are often wickedly funny – especially when Midge’s nascent manager, Susie (Alex Borstein), is involved. 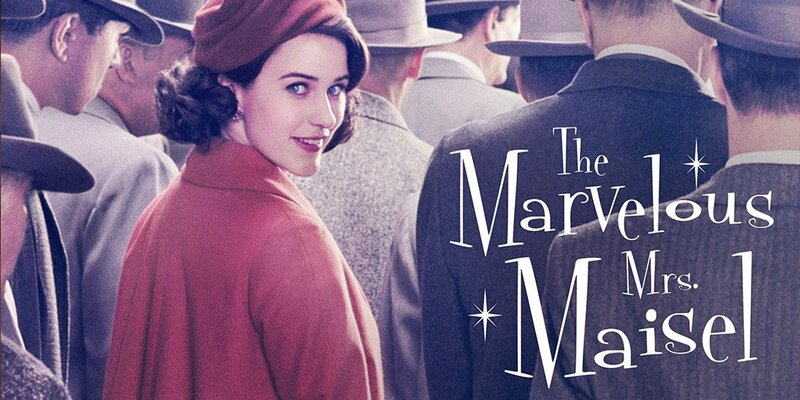 So, for today’s Top 5: The Marvelous Mrs. Maisel – as in, songs from the show’s stellar soundtrack. As with the storyline, there are some timeline issues (Barbra Streisand didn’t release “Happy Days Are Here Again” until 1963), but the tunes perfectly accent the scenes. 1) Peggy Lee – “It’s a Good Day.” This classic song, cowritten by Peggy and her then-husband Dave Balbour, made it to No. 16 on the charts. 3) Frank Sinatra – “In the Wee Small Hours of the Morning.” The title song to Sinatra’s 1955 long-player, In the Wee Small Hours, the single reached No. 2 on the charts; and the album is considered a classic. 5) Julie London – “Cry Me a River.” Long before her Emergency! days, Julie was a well-known singer, and this torch song – which hit No. 9 on the pop charts in 1955 – may be her best. This performance is from a 1964 Japanese TV special.